It’s Thursday!!! That means it’s almost the weekend, I picked up a head cold this week and let me tell you, the weekend cannot get here soon enough! Are you so excited for the Super Bowl? I pretty much love all sports especially football so I’d be watching the game regardless, but the fact that MY team, the Denver Broncos will be playing this year and that it may be Peyton’s last game I am going to be cheering louder and crazier than usual! I’m also going to be celebrating this new recipe!! 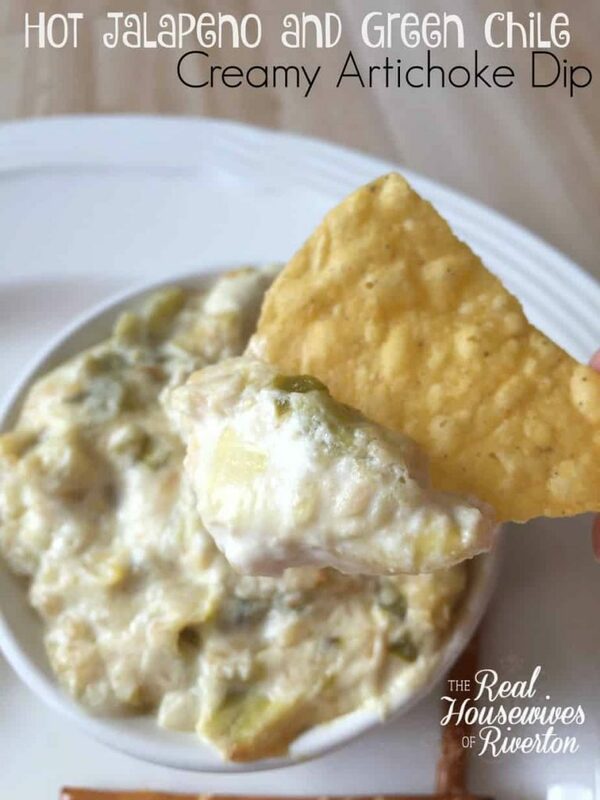 You’re going to love me for sharing this Hot Jalapeno and Green Chile Creamy Artichoke Dip Recipe with you. Paula and I with our cute sister in law Leighann got to attend a fun New Year’s party and met a new friend Everyday Jenny who brought a delicious Hot Green Chile and Artichoke dip that we were all enjoying far too much. I made it for our New Year’s Eve Party and everyone loved it. 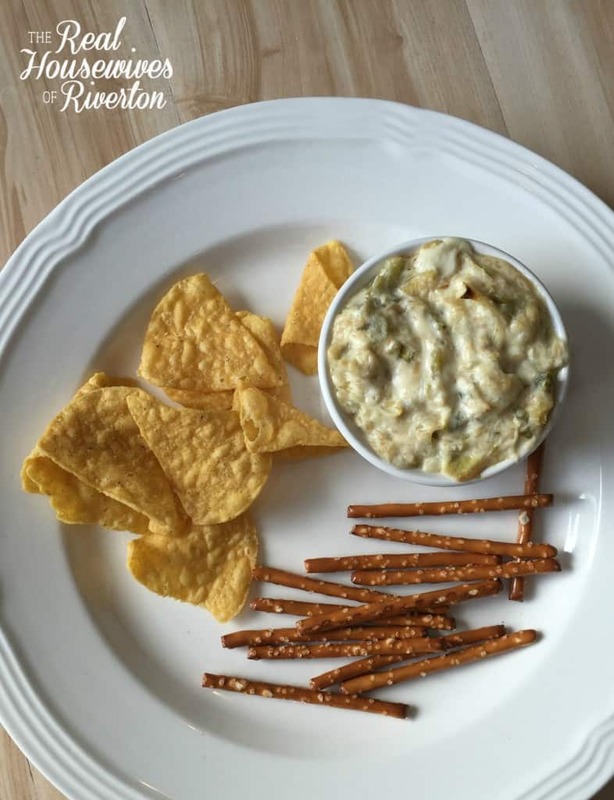 We’ve all for years been enjoying a store bought jalapeno artichoke dip so I thought it would be a good idea to see how I could do that myself. 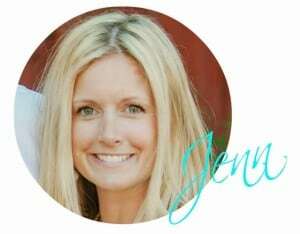 Using Everyday Jenny’s recipe I made a few changes and came up with a delicious and if I do say so myself amazing Hot Jalapeno and Green Chile Creamy Artichoke Dip Recipe and I know you’re going to want it for your Super Bowl party. Combine all ingredients into a bowl and then put in a oven safe casserole dish coated in non-stick cooking spray. Bake uncovered at 300° for 20-30 minutes until warmed completely through and slightly browned on top. Serve warm (or nice and hot how I like it) with your favorite side. 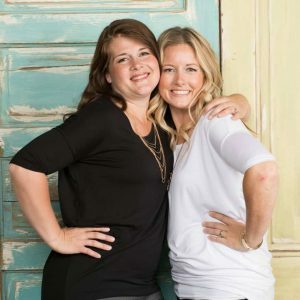 We have loved it with corn chips, pretzels, and fresh bread. Recipe note – I used a 9×9 casserole dish to cook my dip, if you’re not sure you’re going to use all the dip you can cook it in a smaller dish and store the rest in the fridge until you’re ready to eat it, also, it reheats well so don’t toss the leftovers!!! 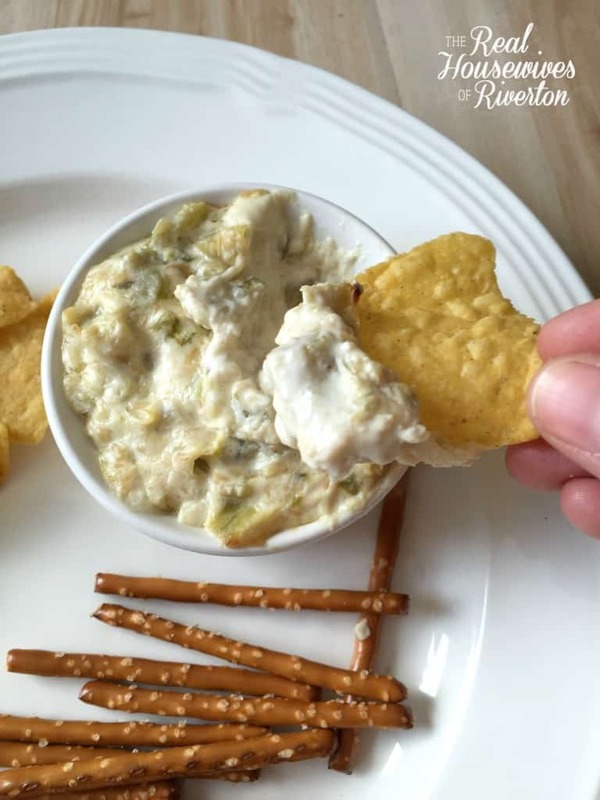 We’ve got a whole bunch of food lovers in our family and everyone loved this dip, the jalapeno adds a whole lot of flavor and just enough spice. I promise, your party attendees will love you for bringing this dip with you.